Meanwhile, it's not just California taxpayers that have an interest in the Supreme Court's decision as twelve other states also observe a variation of the 'California Rule', said Greg Mennis, director of the Public Sector Retirement Systems project at Pew Charitable Trusts. 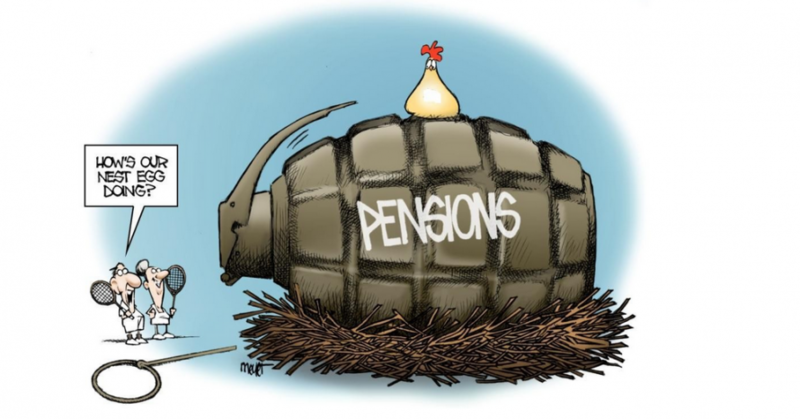 One of them, Colorado, has walked it back a bit, he said, requiring "clear and unmistakable intent to form a contract before pensions will be contractually protected." While a change to California's interpretation of its rule would not automatically change legal precedents in other states, it could provide the catalyst for lawmakers to test changes that they previously considered unfeasible. Of course, 'reasonable' can be a tricky term to define and for most union bosses it is synonymous with 'MOAR'....the only question is does the California Supreme Court agree?